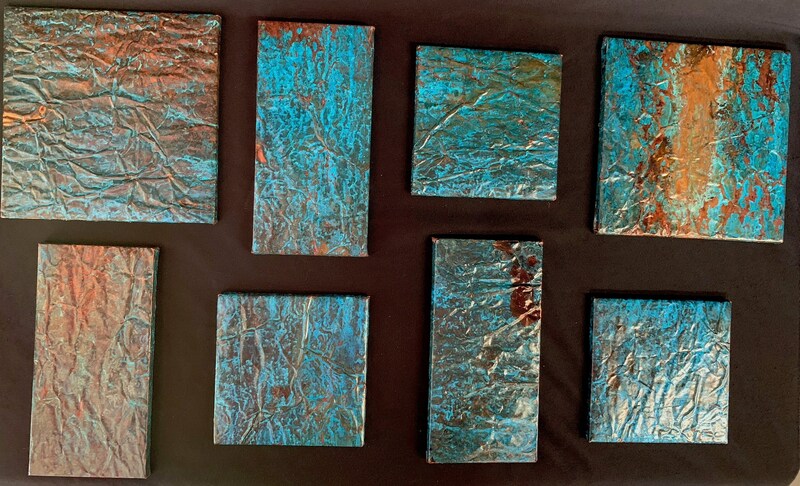 Striking turquoise and rich indigo hues dominate over shades of brown and copper areas. 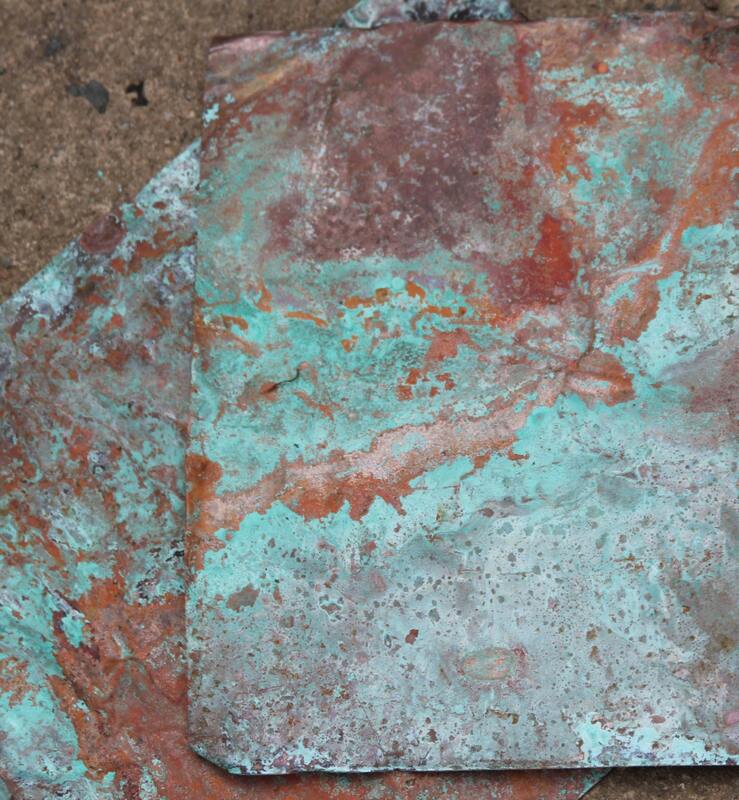 Our Copper is the "REAL" deal, and not simply painted or stained! It is aged using a 100% natural process. I'm amazed watching the transformation of each and every sheet. It's almost a magical experience! 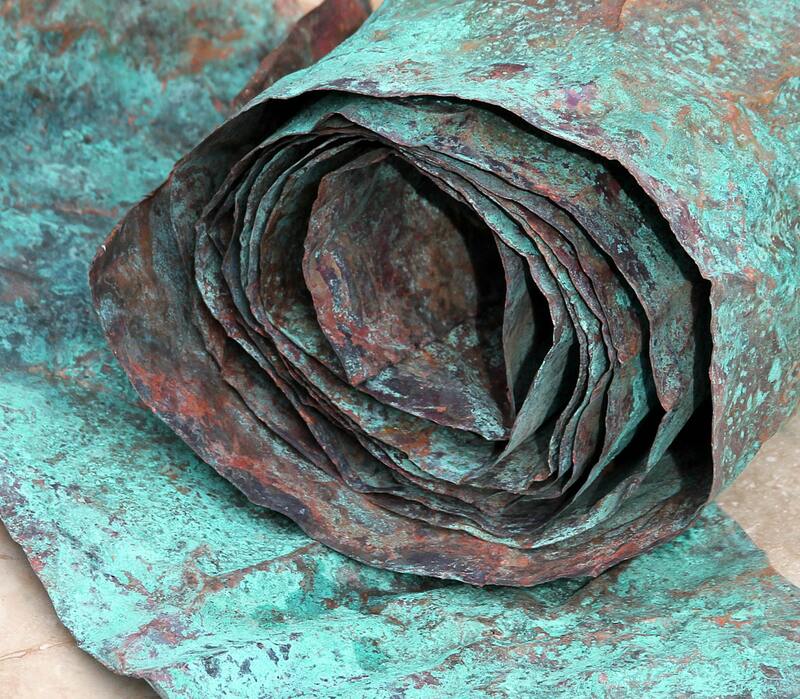 These gorgeous copper rolls are durable yet easy pliable and can be cut with ordinary household scissors. You will receive 1 8in x 10in sheet. 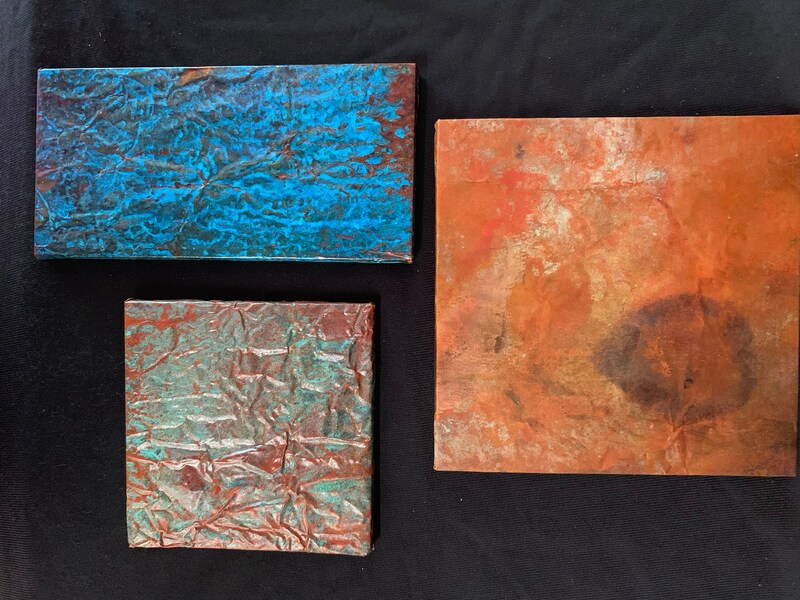 Each sheet is gorgeous yet unique with an amazing array of blues, greens, red and oranges. Patina is on both sides. Quick project idea - wrap beams with a strip on each end, the colors compliment barn wood wonderfully. 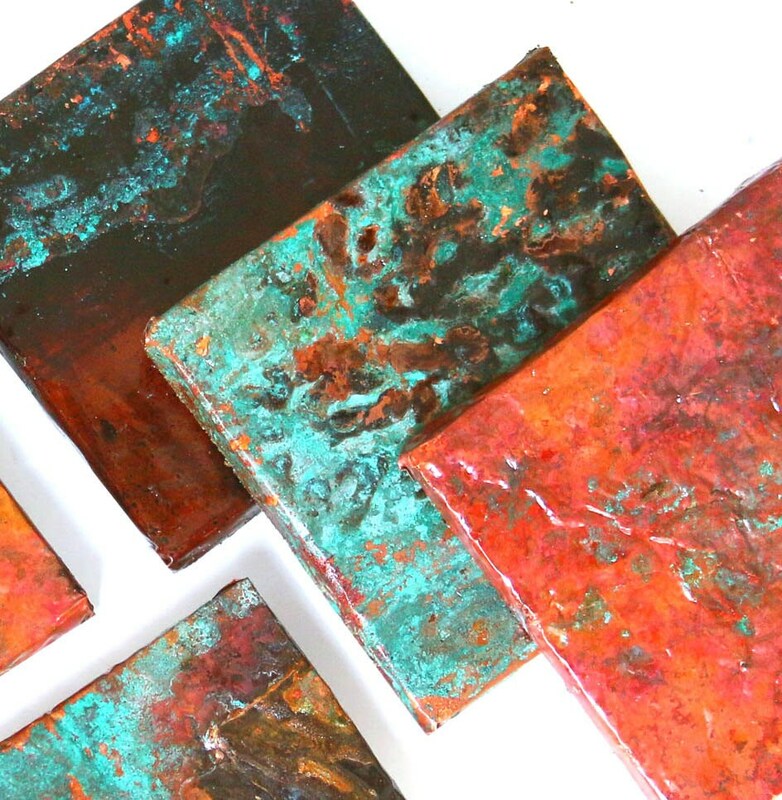 Even wrap tiles as shown above for elegant yet rustic cottage coasters! 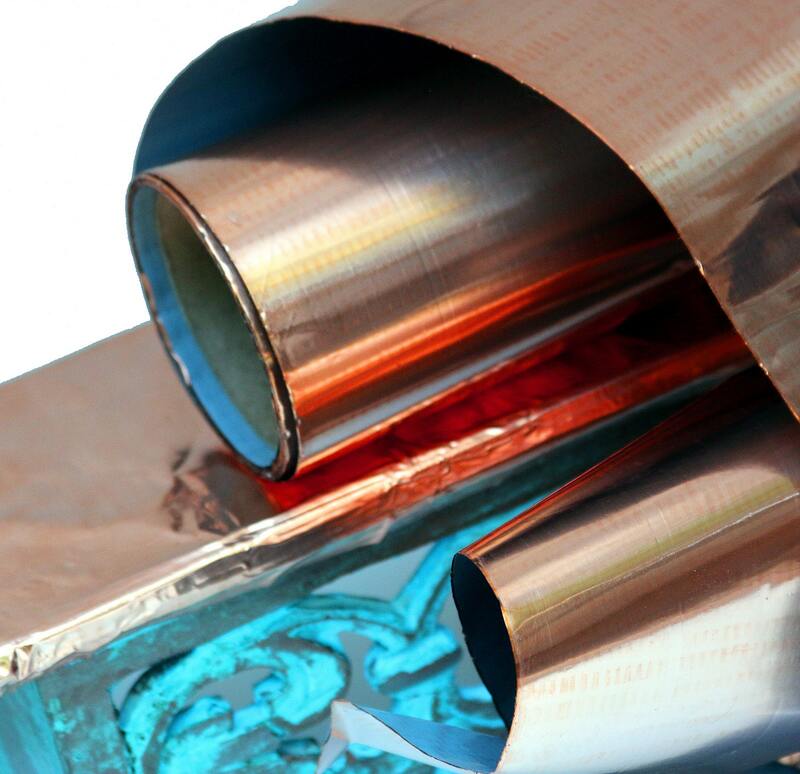 Copper can be applied with liquid nails to almost any surface. Also available in longer length please search my shop for "copper" to see more sizes. Longer lengths available. 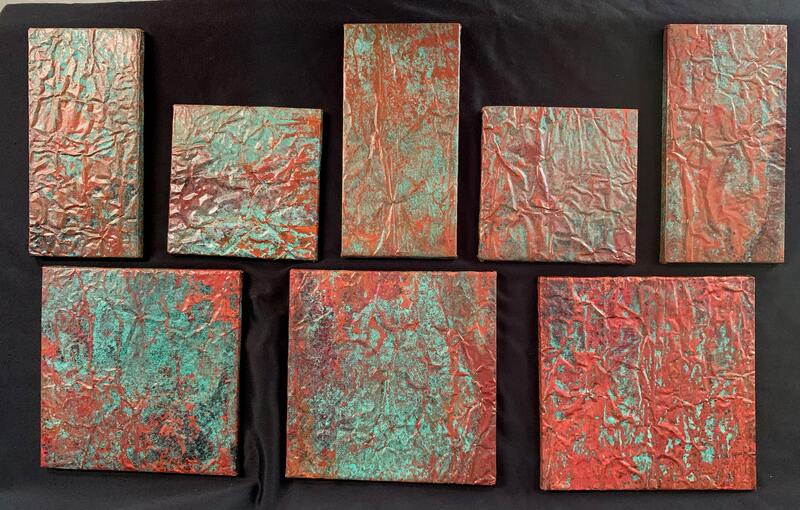 Please see my other copper listings if longer lengths are desired or message me. 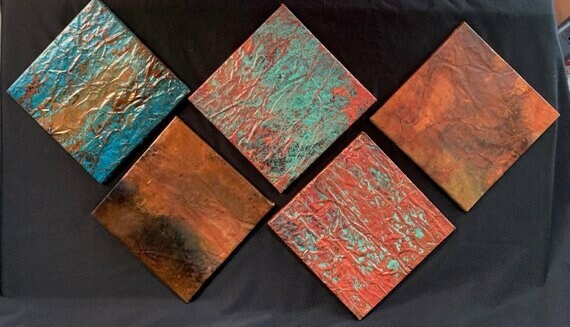 You can catch more views of my copper sheeting by looking at my copper sail boat and spoon fish wind chimes. Please Note : It is recommended to use an air-dry lacquer for both interior and exterior application on any copper. For the highest level of protection for bar tops and counter tops, we recommend a thick lacquer coating, followed by a self-leveling epoxy coating. Copper is also available in " bright 'n shiny".